This entry was posted on 16. 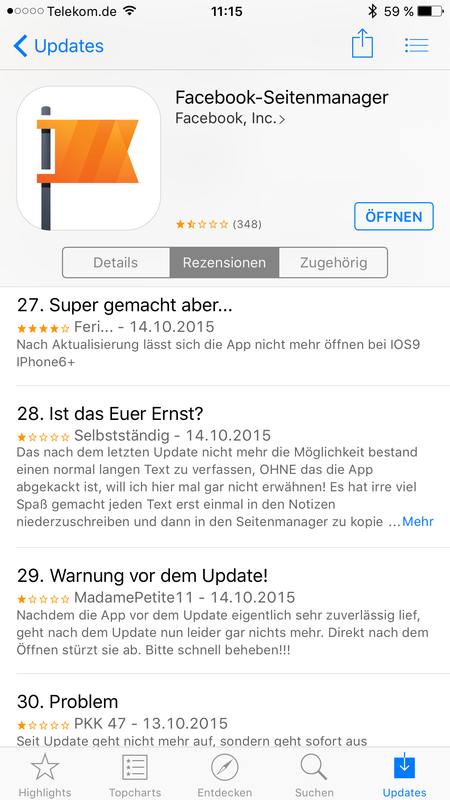 Oktober 2015 at 7:00 and is filed under Apple, Medien. You can follow any responses to this entry through the RSS 2.0 feed. You can leave a response, or trackback from your own site. Hi Matthias, das Update hat bei mir leider nichts gebracht. Musste erst die App löschen und neu installieren. Jetzt geht’s wieder.